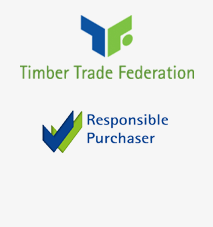 We stock a huge range of timber to suit every project be it large or small. We supply quality decking and only use the finest quality from Sweden. We supply shuttering plywood, smooth plywood, OSB & MDF. Our fence panels will help define your garden's personality. Fence posts are available in a variety of sizes and heights to suit your needs. We supply new and reclaimed sleepers to the trade and general public. We provide a made to measure service for a wide variety of sizes and styles. We supply timber for all your garden and lanscaping projects. We can manufacture standard or any size pallets made to measure. Our team has been in the business for over 50 years, we supply to wholesale merchants, property developers & large construction as well as the general public. We provide quick turnaround on sawing, treating and delivery of all our products. Highly knowledgeable & Trained staff are here to give a professional & knowledgable service to new and established clients. Our experienced import strategy gives us the edge to meet our buyers demands in a competitive market.